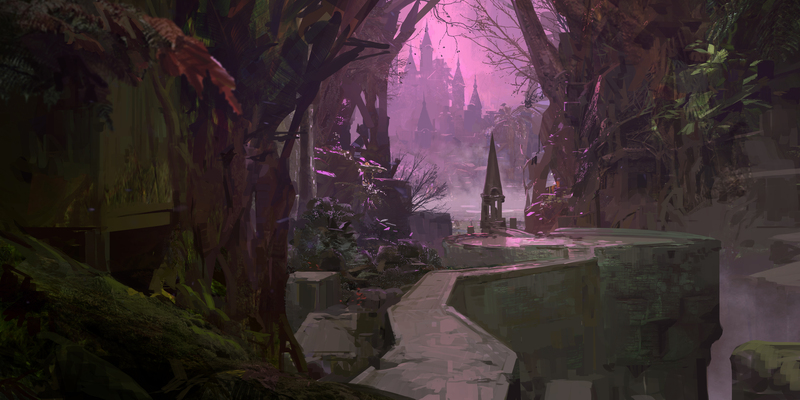 It’s been nearly a month since the end of E3, but today, ArenaNet has finally given the go-ahead for press to talk about what we were shown for Guild Wars 2’s Living World Season 3, Episode 1: Out of the Shadows. As long as you’re up to date on Season 2, there won’t be any spoilers here — just story teasers. A few important bits before we dig in: The story-focused update picks up right where Heart of Thorns left off, it launches on July 26th, and you do need to own HoT and have a level 80 character to access it (you get a freebie 80 for buying HoT, you’ll recall). However, you don’t need to have actually completed HoT. Regardless of whether you own HoT, you’ll want to log in while each episode is active to “bank” it for your account to play through in the future. As you’ll remember from the existing game story, a big Elder Dragon named Mordremoth sent his minions across all Tyria and almost destroyed the united races, but like most dragons, he was defeated and dry looted. However, some people had to play hero, critical rezes were missed, and key characters seem to be gone. Don’t worry; as the trailer hints, certain “lost” heroes may pop up again later. When Mordremoth was killed, all the magic he held was released into the world, and of course, there are plenty of factions coming out of the woodwork to claim it. Chief among them are the White Mantle religious cultists who worship the mursaat and are trying to harness the power of the Bloodstone to resurrect one of their gods. There’s some good news, though, as hypercute Asuran researcher Taimi is working on figuring out how to take down other global, dragon-related threats. Meanwhile, the players found and protected a dragon egg from Glint, an ally to Tyria’s races. While Anet is teasing that the child may or may not side with the Tyria mortals, I’m wondering how Taimi’s going to react to the whelp. Fractals are due for updates during the season as well. First we have the Chaos Isles fractal. You’ll see elements from several past fractals combined into one thanks to a character tentatively named as “Mysterious Asura.” No, really, that’s literally all I was told. Dessa is still in charge of figuring out what’s up with the fractals, so players will be helping her figure out not only what’s going on in the Chaos Isles but who this other Asura is and why they can control the fractal. Chaos Isles won’t be a single, complete story, but the start of a new arc that will parallel the main Season 3 plot. Then you have “Revenge of the Capricorn,” a revamped version of the retired Raid on the Capricorn. The old map was removed due to the underwater element, as the team wanted to focus more on land combat (so no, we won’t have any underwater battles here). It’s a move I’m particularly disappointed with, as I really enjoyed the underwater combat. It’s a big reason RotC was my favorite PvP map. At least players will be able to enjoy some Lion’s Arch architecture again! As before, you’ll have three points to capture, but now in addition to players, you’ll have the pirates of the Capricorn roaming the map for revenge. Players are supposed to need to unite at times to fight against the third faction. To help with this, there will be a new bell objective capturable at 3-minute intervals that signals a canon fires on the Capricorn. It also awards your team some points, and capturing it multiple times in a row gives you an additional bonus (first 25, then 50, 75). The idea is that the objective can be used as both a “winning more” mechanic or a way of making a comeback. Previous articleThe Daily Grind: When has going back to an MMO gone wrong for you?